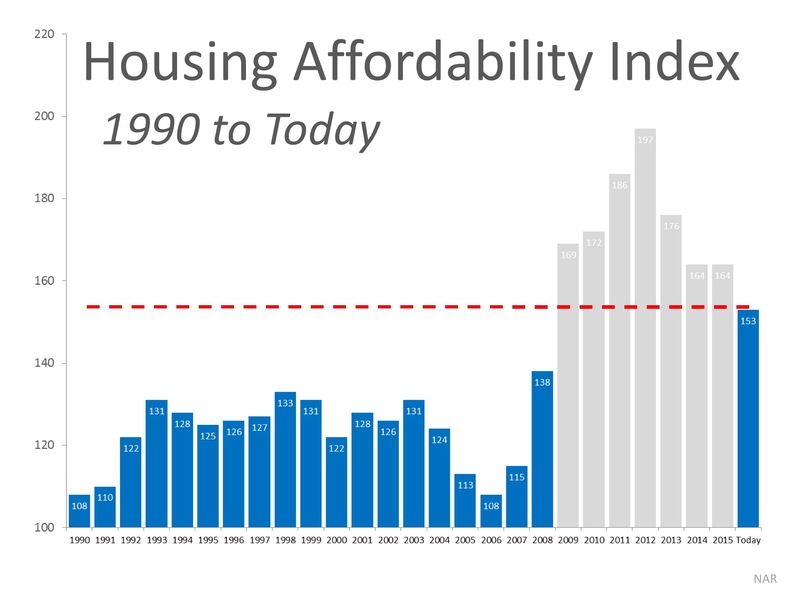 How Scary is the Housing Affordability Index? Some industry pundits are saying that the housing market may be heading for a slowdown. One of the data points they use is the falling numbers of the Housing Affordability Index, as reported by the National Association of Realtors (NAR). Basically, a value of 100 means a family earning the median income earns enough to qualify for a mortgage on a median priced home, based on the price and mortgage interest rates at the time. Anything above 100 means the family has more than enough to qualify. 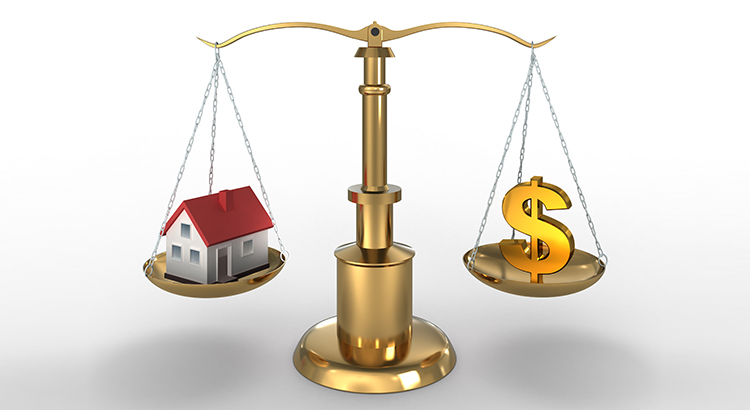 The higher the index the easier it is to afford a home. Though the index has decreased over the last four years, we must realize that at that time there was an overabundance of housing inventory and as many as one out of three listings was a distressed property (foreclosure or short sale). All prices dropped dramatically and distressed properties sold at major discounts. Then, mortgage rates fell like a rock. The market is recovering and values are coming back nicely. That has caused the index to fall. However, lets remove the crisis years and look at the current index as compared to the index from 1990  2008. We can see that, even though prices have increased, historically low mortgage rates have put the index in a better position than every year for the nineteen years prior to the crash. 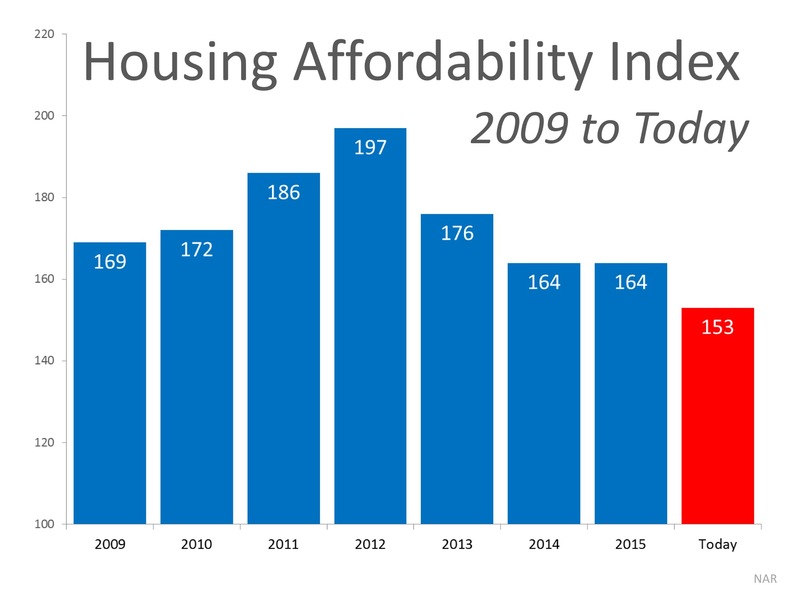 The Housing Affordability Index is in great shape and should not be seen as a challenge to the real estate markets continued recovery. HAVE YOU SEEN OUR NO LISTINGS / NO ADVERTISEMENTS / NO HASSLE WEBSITE? FREE buyers and sellers guides (updated every Spring/Summer/Fall/Winter) with tips for preparing your home for sale, getting your credit in order, and what to expect. Download for FREE. Also, over 500+ blog posts with market data, simple easy-to-understand tips, financial guides, and more. See it here by Clicking HERE. Then click either "Buying?" or "Selling?" at the top of the page. Website available in English and Spanish. Should I Buy Now? Or Wait Until Next Year? 25% of Homes with a Mortgage are Now Equity Rich! If You Are Thinking of Selling? You Must Act NOW! Is Buying a Home Really More Stressful Than Planning a Wedding? Are Homebuyers Starting to Hit the 'Pause' Button? Jason Crittenden Team	focuses on quality of service and excellent performance with each and every client.